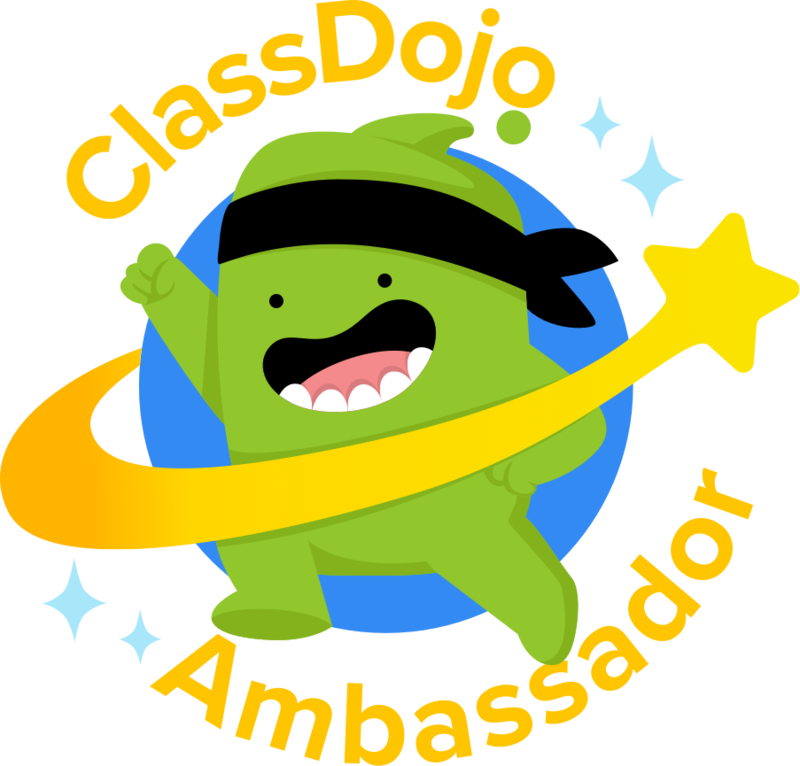 With the back to school season here a lot of giveaways are popping up every where. 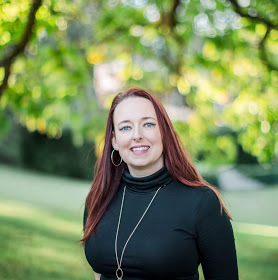 I wanted to share all these great giveaways with my readers. 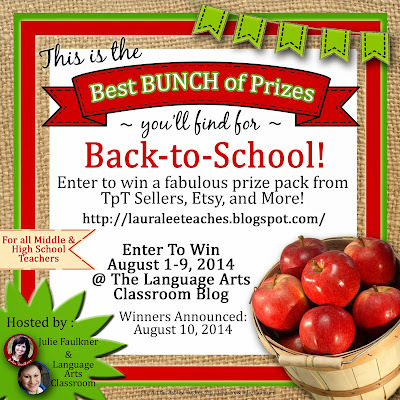 I'm joining some awesome Middle and High School teachers for a Back to School Giveaway. There are five different bundles you could win. You should head over now to The Language Arts Classroom to enter to win! 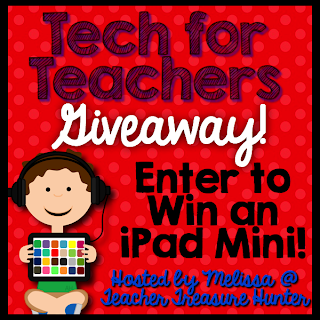 Teacher Treasure Hunter is hosting a giveaway for an iPad Mini! 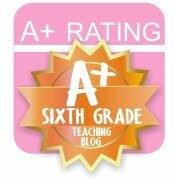 I'm also giving away a 10.00 Teachers Pay Teacher Gift Card to celebrate all my new Facebook followers. If you have a giveaway that you would like me to add to the list comment below and I'll add it.